Robots are all the rage this Valentine's Day. From robot juice boxes to printable robot valentines, the web is full of all sorts of fun ways to make a robotic valentine. These robot valentine treat boxes are just the latest idea that I have fallen in love with. And the best part is letting our little one use his imagination! These boxes are perfect for Valentine treats, but make the box larger and it would be a fun box to collect valentines. 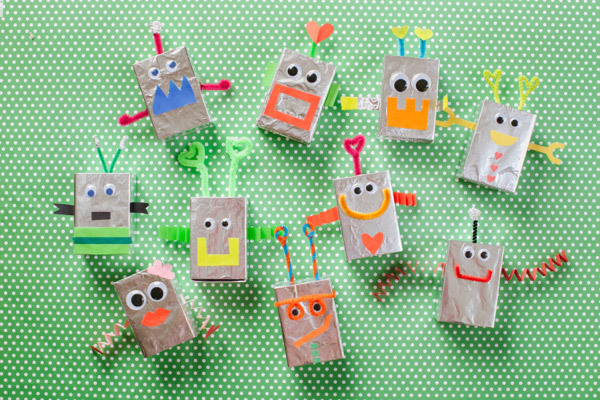 You can check out how Jordan makes her robot valentine treat boxes over at Oh Happy Day.